Enjoy two VIP tickets to the August 11th Michael Buble Concert in Toronto with a Meet and Greet and Photo Opp with Naturally 7. This will benefit Love Our Children USA’s signature STOMP Out Bullying program. For further information, please visit the auction @ charitybuzz! This entry was posted in News and tagged Canada, Love Our Children USA, Michael Bublé, STOMP Out Bullying, Tickets, Toronto, VIP. Bookmark the permalink. Could you forward this to Naturally 7’s Manager? I met them on the Road in July tour, Richmond, VA. stood behind their family in line for the meet and greet! I was so impressed… they can look me up on FB and see a photo of myself along with my two children I brought to see Bubble’ My son and I were more impressed with Naturally 7 although MB did a great job! I am currently teaching 1st grade at MLK JR Elementary School in Hopkinsville, KY near Ft.Campbell, KY. If they are ever passing through our area and would like to send positive messages to our Pre-K -5 school, our students could use the encouragement! Hopkinsville has a nice convention center and Ft. Ball stadium may want to consider schedule a show. We are not a high income community, so a free concert would be great for communtity, but would get lots of positive messages and exposure of a clean positive, talented group of African American Men to lots of kids in need. Thank you Naturally 7 for your support, donation, time and love. Our charitybuzz winners had a great time and especially loved your show and meeting you guys. 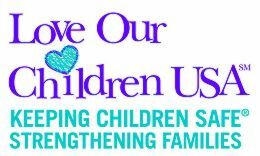 Thanks for all you do to support Love Our Children USA! !